With over 400 restaurants in Bath, you won’t struggle to find somewhere to eat out when visiting the city. We’ve narrowed the list down to what we believe are the tastiest in town. 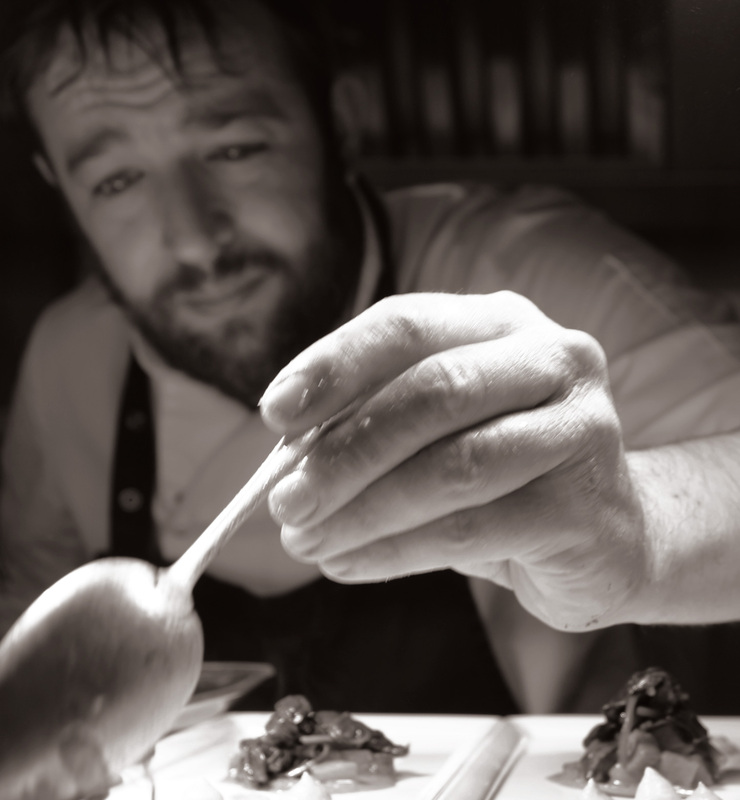 We only run a surprise tasting menu, decided by Gordon Jones, from which you will experience contrasting flavours, textures and temperatures with English, Indian and Asian influences. You can also choose to do our wine flight which is chosen to complement each course and ensure you don’t have to make any decisions, just sit back and enjoy the experience. With only 10 tables, covers are limited. Reservations for Friday and Saturday evenings often require advance notice although if you really want to dine sooner join for lunch or a mid-week dinner. Calling all Gin lovers! 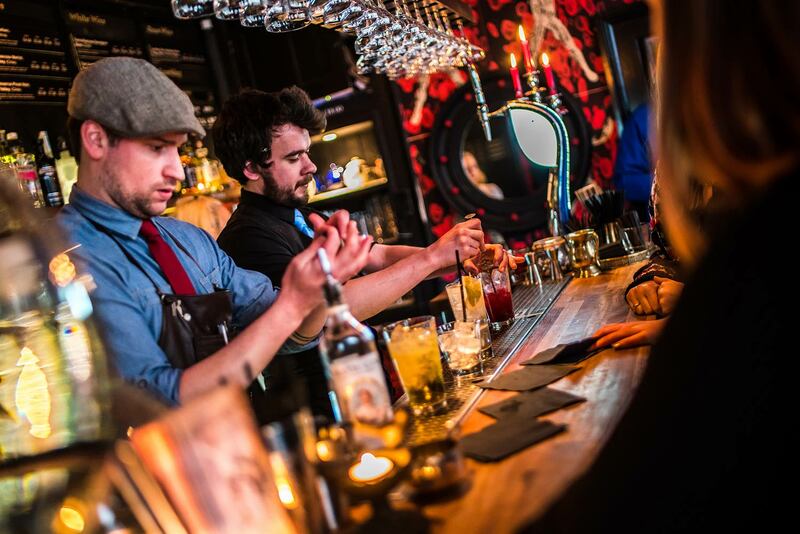 This funky little place offers over 230 gins as well as their Cocktails of Gin Austen menu. The Distiller’s Bar is upstairs and offers over 40 gins as well as more classic cocktails. 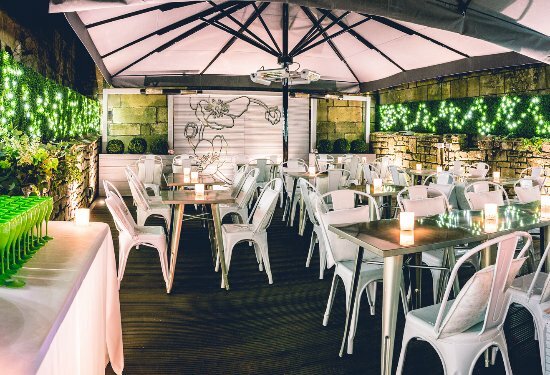 Bath’s most famous view is right in front of this bustling contemporary Italian restaurant. Prepare yourself for gorgeous food, music, (live jazz every Friday) views of Bath – not to mention the genuinely warm & friendly service from the staff. Boutique watering hole with pan-historical decor offering an extensive beer and cocktail menu. A vintage and curious cocktail bar found in some of Bath’s unique vaults; we’re in the heart of this World Heritage City. 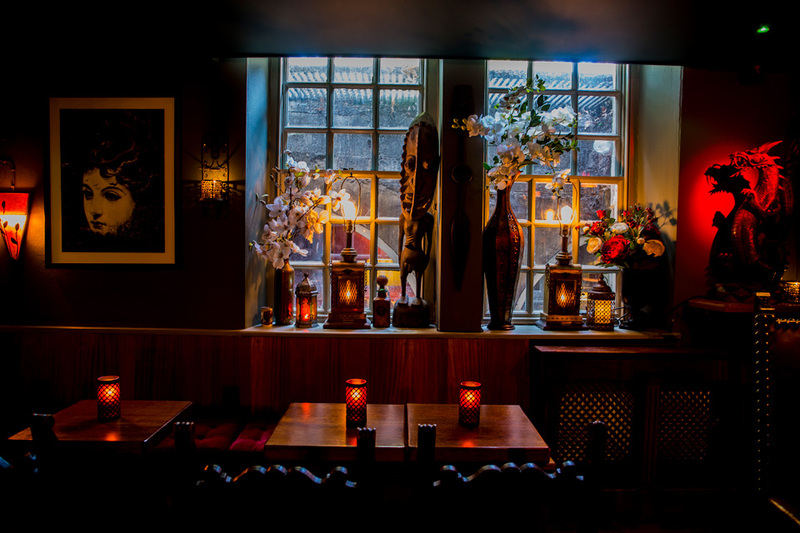 A quirky and delightful secret for the lucky few that venture to find it, Opium is tucked away under the landmark Pulteney Bridge much like the old Laudanum and Opiate dens of the Victorian era. The bar is stocked with a wide range of International beers and spirits and staffed by bartenders who can mix and concoct these ingredients into the most wondrous (and affordable) cocktails you’ve ever indulged in. It’s easy to imagine yourself in the company of Sherlock Holmes, H.G Wells, Janis Joplin or William Burroughs as you sip your perfectly made cocktail. 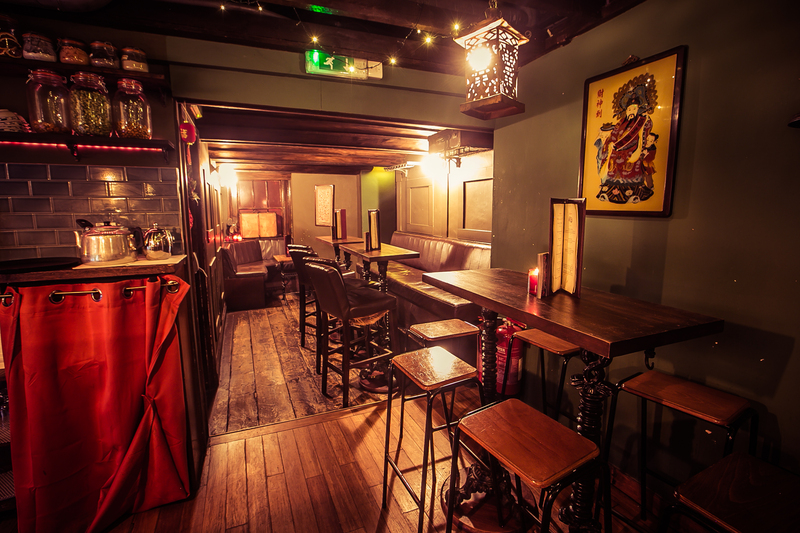 £5 for any cocktail Tues-Thurs , Friday until 8 pm.Check out the secret room for parties. 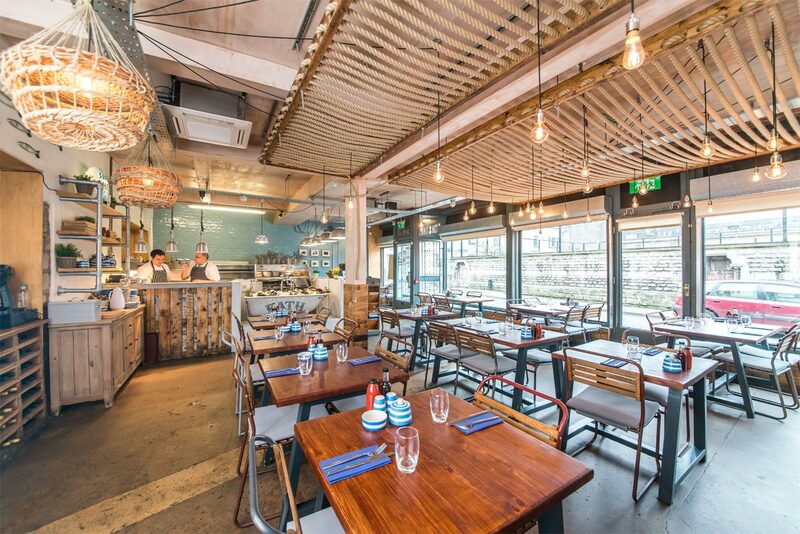 Colourful distressed furniture fills this wood-dominated venue specialising in fish and seafood. The Scallop Shell is an award winning fish and chip restaurant and seafood grill in Bath. We serve up traditional favourites like lightly battered, flaky cod and haddock and seasonal delights from the early morning coastal markets. Our chips are peeled and freshly cut from the best seasonal spuds and prepared daily for you in our beautiful spud room. 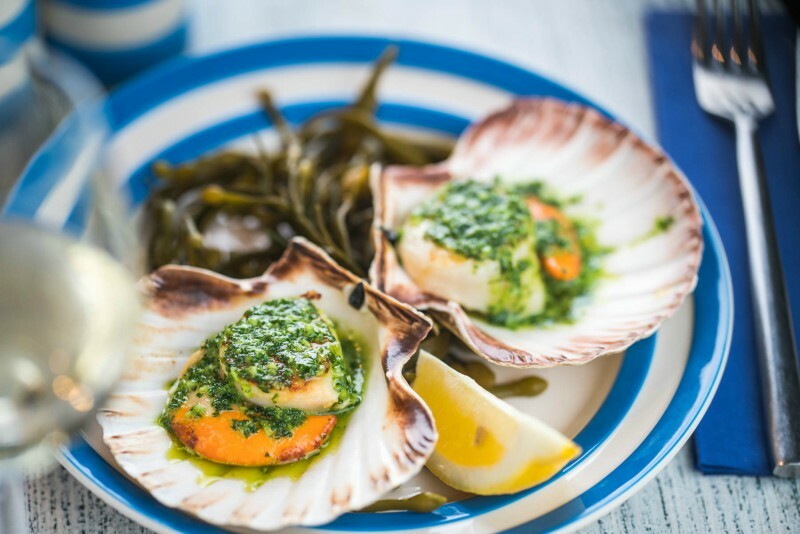 The Scallop Shell is driven by a passion for seafood from Garry Rosser, who returned to the city where his career as a chef began when he opened the Scallop Shell in 2015. Now occupying two floors and a beautiful terrace, The Scallop Shell is open for lunch and dinner. 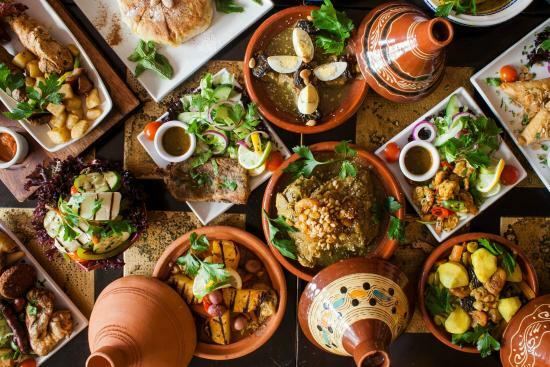 Traditional dishes and light bites in a Moroccan restaurant with eastern lamps and a shisha terrace. Stylish cellar bar, with intimate spaces and a courtyard, serving cocktails, champagnes and spirits. We’ve earned a reputation as one of the best bars in Bath. Set over three floors from our main ground floor cocktail bar and gin bar, with cocktail making classes, gin masterclasses, parties in the vaults, spacious sunny terrace, and DJs keeping everyone dancing until late – even our 3am closing time is starting to feel too early. 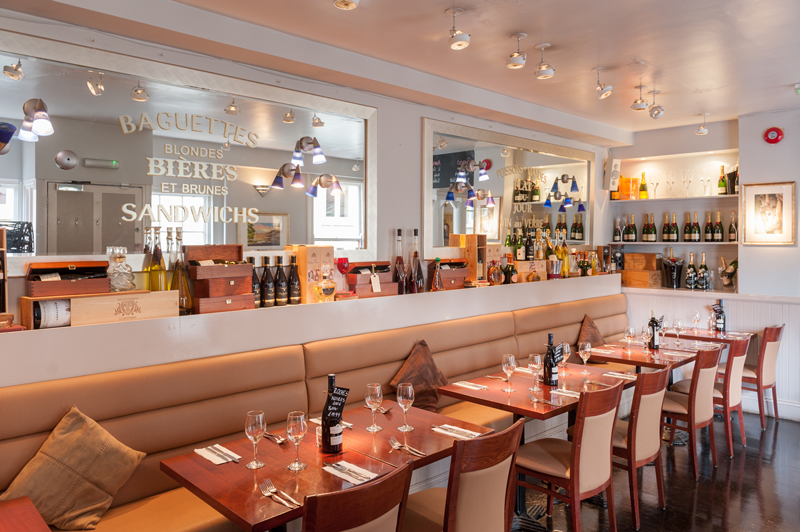 Brasserie/bistro with dark wooden floors and soft lighting, serving modern takes on French classics. 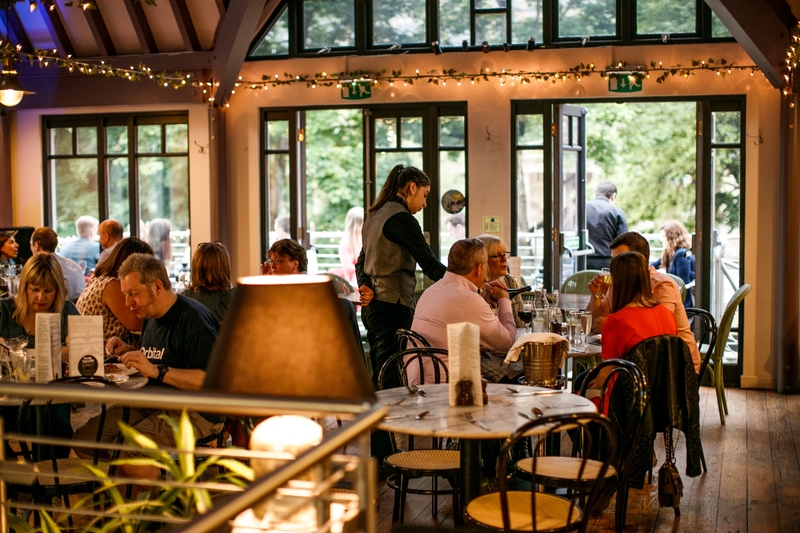 Family-friendly venue open from breakfast, with a full dinner menu including steak and pizza. 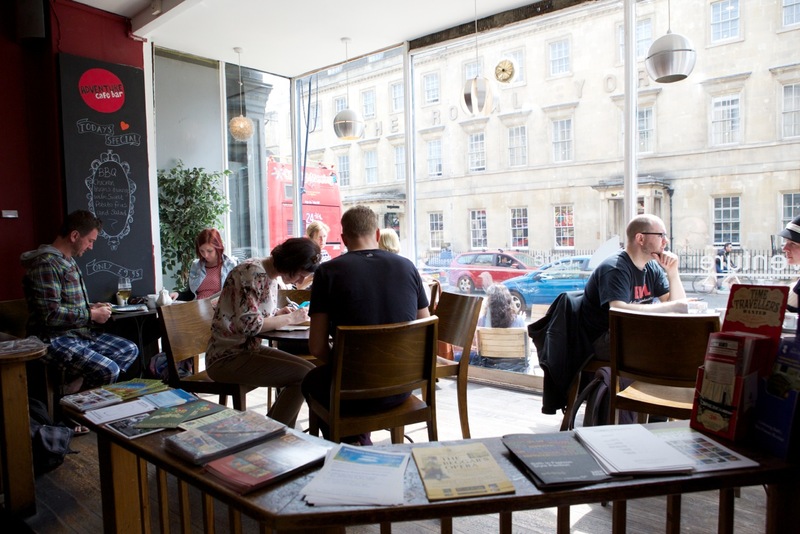 WELCOME TO ADVENTURE.Located on George Street in the centre of the world heritage city of Bath, Adventure Cafe is a fantastic place to relax and unwind. We serve triple certified organic coffee and also have a fully licensed bar offering a selection of wines, beers and cocktails throughout the day and evening. 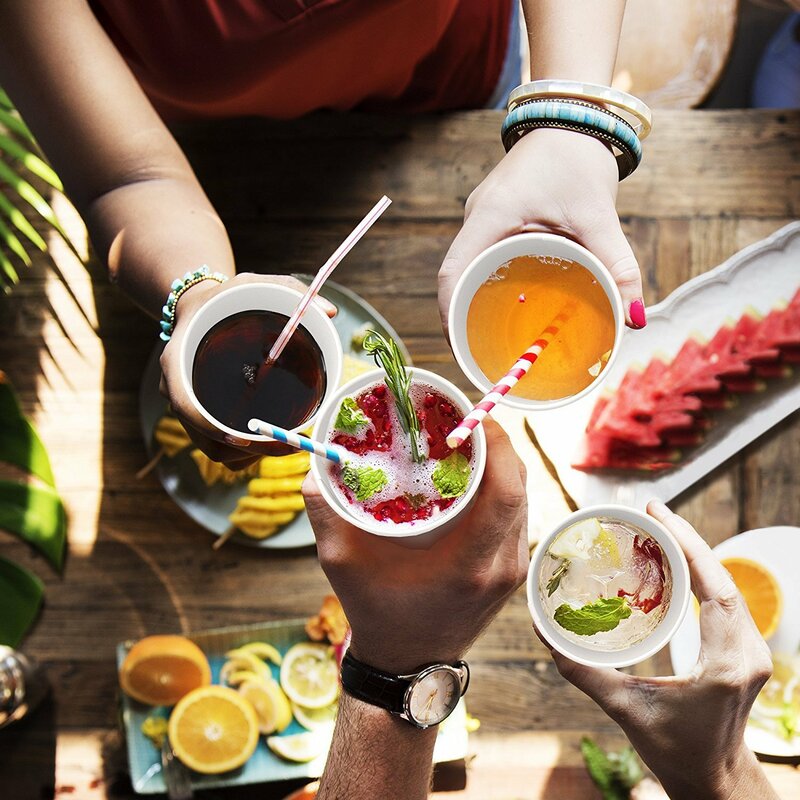 BREAKFAST, LUNCH AND DINNER.We offer hangover soaking breakfasts until 12 noon along with energy filled fruit and yoghurt smoothies and luxury ice-cream milkshakes. Freshly made gourmet sandwiches, paninis, soup and salads for lunch, plus a full dinner menu including a wide range of delicious pizzas, homemade gourmet burgers and more.